Last week, 26 Trinity students, all members of Kid Companions, returned to the St. Benedict Children Home in Georgetown, St. Vincent. 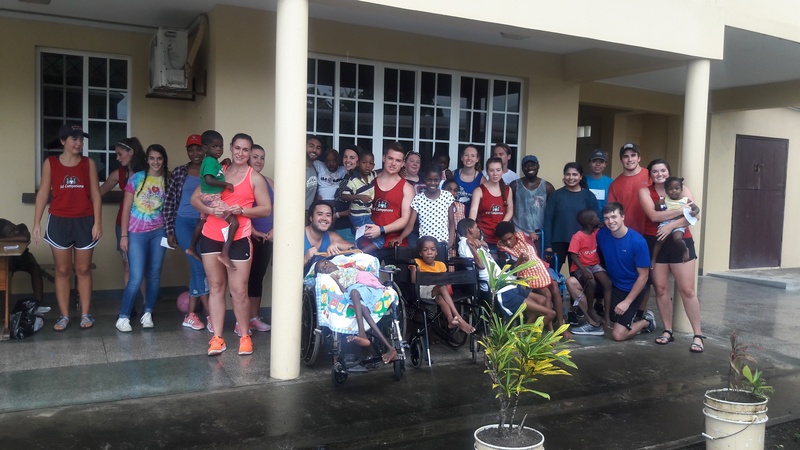 The student group has had a long-running relationship with a handful of children's homes around the island, most of which serve special needs orphans. This visit, two groups were combined; residents of the Bread of Life orphanage visited their friends at St. Benedict to provide greater opportunity for interaction and play.